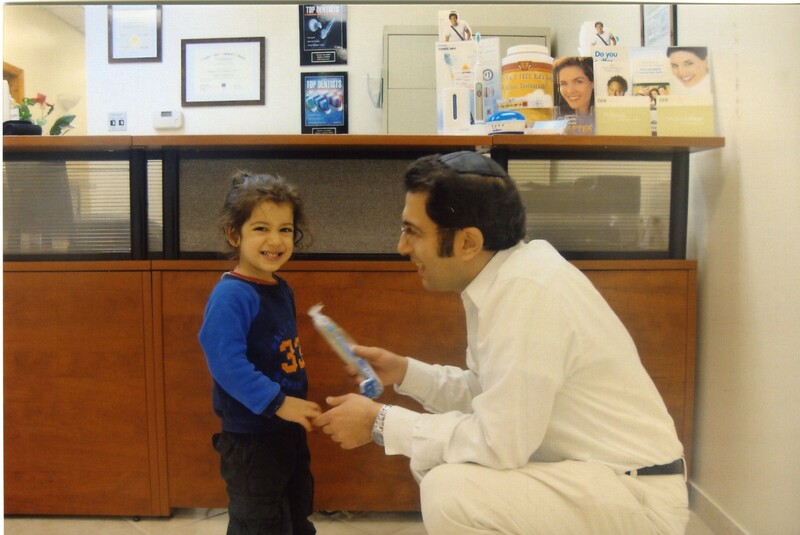 Dr. Kashani is a graduate of New York University Dental School, class of 2000. While at Yeshiva University, Dr. Kashani earned a B.A. in Biology. He received advanced training in general dentistry from Mount Sinai School of Medicine. He is currently an Attending Dentist at Queens Hospital Center. He has earned over 500 continuing education credits from the Academy of General Dentistry. 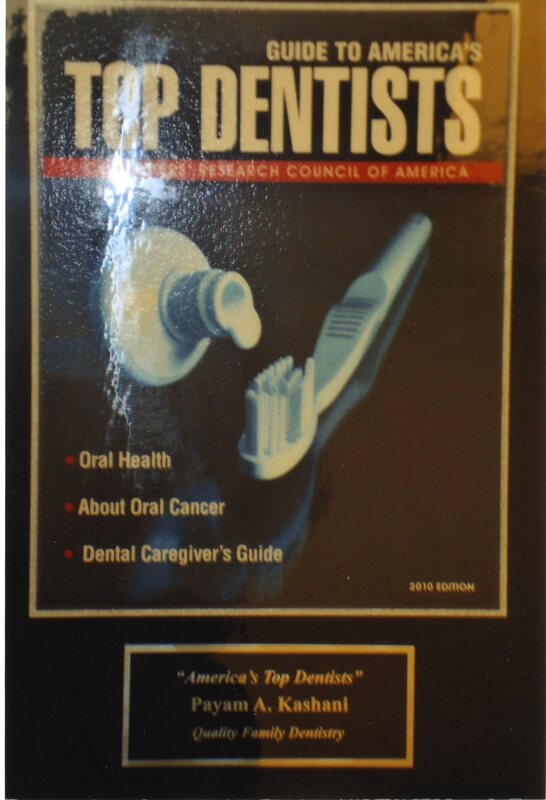 The doctor is an active member of the New York and National Academy of General Dentistry. 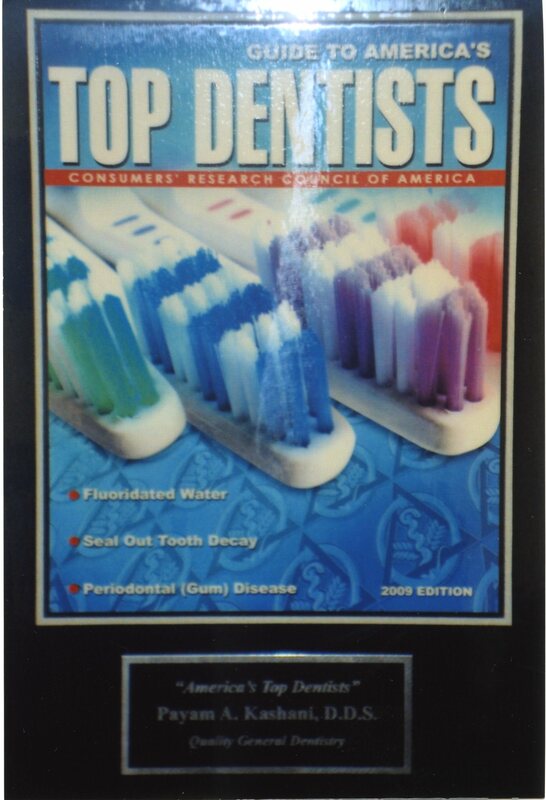 Dr. Kashani has been recognized as one of America's top dentists for eight years in a row by the Consumer's Research Council of America.The doctor has been featured in the New York Daily: Metro NY, NY1 TV and in the weekly: Queens Chronicle, because of his efforts to help the children of the comunity, and our troops in the field. Dr. Kashani believes in high quality preventative and restorative care for all of his patients at prices that they can afford and deserve. He loves working with kids and adults of all ages. Thanks to Dr. Kashani my teeth look white & feel great. He did an excellent cleaning and took great care when doing fillings. He explained everything he saw and what he had concerns about. I felt very comfortable with him and his staff. I don't have insurance but he worked with me on the prices. He is honest and explained the pros and cons of doing different procedures. Would recommend to others!!! Dr. Kashani is a wonderful dentist. Very thorough and takes his time with you. He was willing to work on the prices and giving me a discount. I really felt like I was being taken of by a very experienced doctor that knew what he was doing. The office is very nice, clean, and quick service. Would highly recommend to others!!! Dr. Kashani is an amazing dentist! I'm so glad that I finally found a dentist I can trust; in terms of his skills, proficiency, and character. 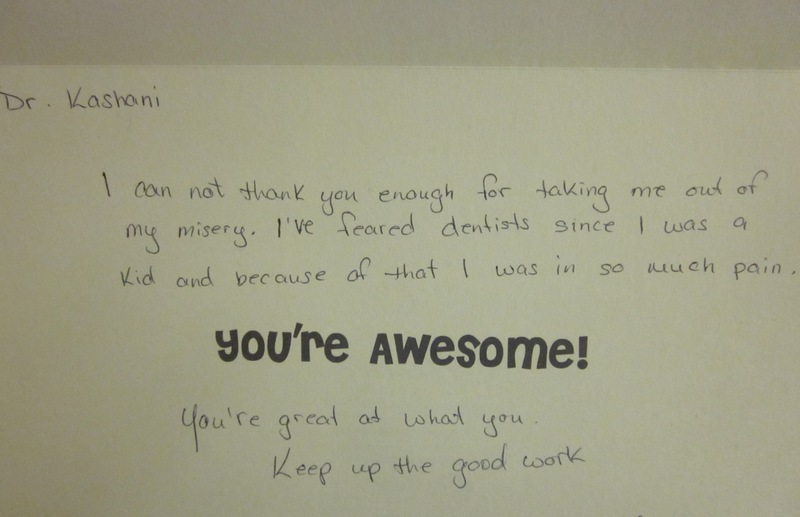 I first met Dr. Kashani after 6 or so years of neglecting to see a dentist. I was terrified; yet, a filling had fallen out; I knew I had to act! Dr. Kashani was wonderful! He really put me at ease. He first made sure to do a thorough set of x-rays,then proceeded to clean my teeth. Dr. Kashani understood my desire to avoid a root canal, and did something respecting that preference. (I forgot what it is called). In addition, I had a few more cavities (yes, skipping dentist visits will do that) which the doctor filled quickly & more or less painlessly. Now I know that I should never have that many cavities again since I've found a dentist that I feel comfortable going to regularly for check ups! I can not thank you enough for taking me out of my misery. I've feared dentists since I was a kid and because of that I was in so much pain. You're awesome! You're great at what you do. Keep up the good work.